Clinical social workers and psychologists provide many of the same services. A career as a mental health professional can be rewarding and meaningful, helping you make a difference in the lives of your clients. If you want to help others deal with mental health issues, solve relationship and family problems and cope with the stresses of everyday life, you might decide to become a psychologist or a clinical social worker. You might think there's little difference between these two professions, as both provide similar services. But there are some significant differences between psychology and clinical social work that may affect your career choice. When you think of social work, the first image that might come to mind is of someone helping the less fortunate. Social work is largely focused on helping those who are unable to help themselves. However, social workers play a wide variety of roles and offer many different types of interventions. As a bachelor's-level social worker, you learn to perform assessments that take into account the biological, social and psychological factors impacting a client, advocate for clients who need help with public programs and social services, and offer information and referral services. 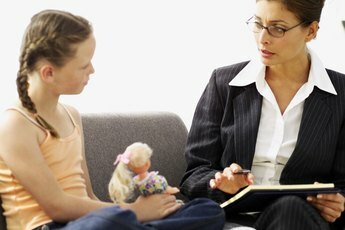 As a master's-level clinical social worker, you receive additional training to provide counseling and psychotherapy. Clinical social workers meet with individuals, couples, families and groups to address problems through psycho-therapeutic interventions, or talk therapy. 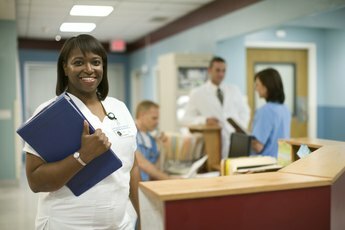 Many clinical social workers decide to open private practices, although some also work in schools, hospitals, community services agencies and governmental organizations. Clinical social workers need to have at least a master's degree from an accredited school of social work. Some clinical social workers also have doctoral degrees, especially if they want to work in research or academia. 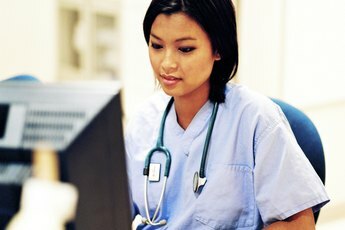 If you want to provide clinical services, choose a school that has a strong clinical focus. A master's degree program in social work generally takes two years of full-time study. You will need to complete a clinical internship, where you'll provide psychotherapy and counseling under the supervision of a qualified clinical social worker. After graduation, you'll also need to complete at least two years of full-time clinical work before you can apply for a state license as a clinical social worker. State licensing requirements vary but generally include passing an exam and submitting proof of education and experience. Like clinical social workers, psychologists don't just provide talk therapy. Psychology is a broad field of study that examines the human mind, behaviors, cognition and relationships. Psychology graduate programs include the study of clinical psychology, counseling, neuropsychology and educational/school psychology. You can choose to specialize in one of the fields. If you want to provide clinical services like psychotherapy and counseling, specialize in clinical psychology. Psychologists often perform research and psychological testing. Many clinical psychologists open private practices, but like clinical social workers, may work in other settings, like schools, mental heath clinics, community agencies and hospitals. Unlike clinical social workers, clinical psychologists must have a doctoral degree from an accredited school. There are two doctoral degrees offered in psychology: the Ph.D, or doctor of clinical psychology, which tends to emphasize research more than clinical practice, or the Psy.D, or doctorate of psychology, which focuses on clinical work. In either case, a doctoral degree can take five or more years to complete, including an internship and dissertation. Clinical psychologists must also have a state license to practice. Licensing requirements vary by state but usually include passing an exam and submitting proof of education and experience.